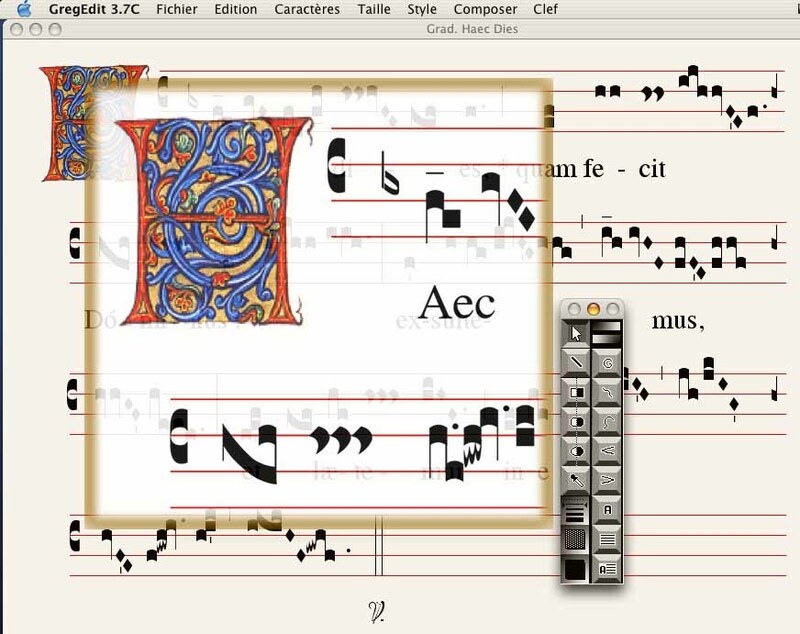 Gregedit is a software for editing and hearing gregorian chant. Gregedit demo is a demonstration version of GregEdit ª, that you can download and use such as you find it. If you want to make the most of possibilities of the software, after the licence inscription a calculation on line will allot you a N¡ of registration and will allow to pass from the version demo to the complete version GregEdit 3 . Please proceed to the registration as indicated in the user's manual. The carbon version of GregEdit works under OS 10 . (Not on OS 10 .7 and following). On OS superiors to 10.6.8. Installing this OS remains possible . Maybe by installing OS 10.6.8 on one partition of the hard disc, or on an external bootable hard disc . Maybe by making a virtualization of 10.6.8 with the free downloadable software: VirtualBox (MT) on your Mac. This process will enable two systems working simultaneously. The PPC version works, on allpovver-Macintoshª OS 8-9. The software is adapted toMacintoshª. It can work on the PC platform. you can download it. Ready-to-use solution for curren O.S. demo: 1,3 Mo OS X.2-6 Version . GregEdit demo: 1,5 Mo OS 8-9 Version . GregEdit demo PC: 117 Mo Windows P.C. Version . Free license of GregEdit . The user's manual (Mac): 2 Mo . Examples "PDFsonores" PC & Mac : 62Mo .